When planning a Disney vacation, one of the first things you need to decide is whether you are going to stay on Disney Property or at a Non-Disney Resort. Many people think that in order to get a full Disney experience, you need to stay in a Disney Resort. This just isn’t true. As I am about to show you, many Non-Disney Resorts will make you feel like you are at Disney and you will get a whole lot more flexibility in your vacation. We use VRBO – Vacation Rentals By Owner to book our non-Disney Resorts and usually we choose to stay at Windsor Hills. Windsor Hills has both condos and town homes, and is located 5 minutes away from Animal Kingdom. This community has both homeowners and rental units, is gated with full security, has a community pool (with water slide and hot tub), mini movie theater inside the clubhouse and much more. When we stay in Windsor Hills, we like to get a three bedroom town home units that has a private (heated) pool. The condo we stayed in was spacious, clean, and was also pet-friendly (not all are). If you are worried that you won’t get that Disney feel, don’t. Almost every Windsor Hill rental we have stayed at gave us a Disney experience. 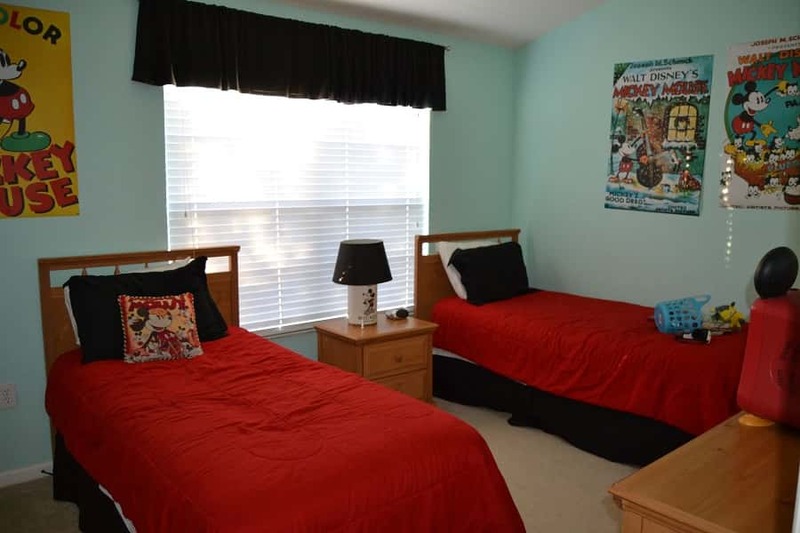 The kids room was decked out in Disney theme and the master bedroom had towel art like you see at Disney resorts. The kitchens aren’t huge, but they do come with the basics you will need to prepare meals (plates, cups, and pots, pans, etc). You will also find microwaves and coffee pots, and usually a blender. Many will give you the basics in terms of a roll of paper towels, a sample of dish soap (detergent for washer) but you may want to bring your own. 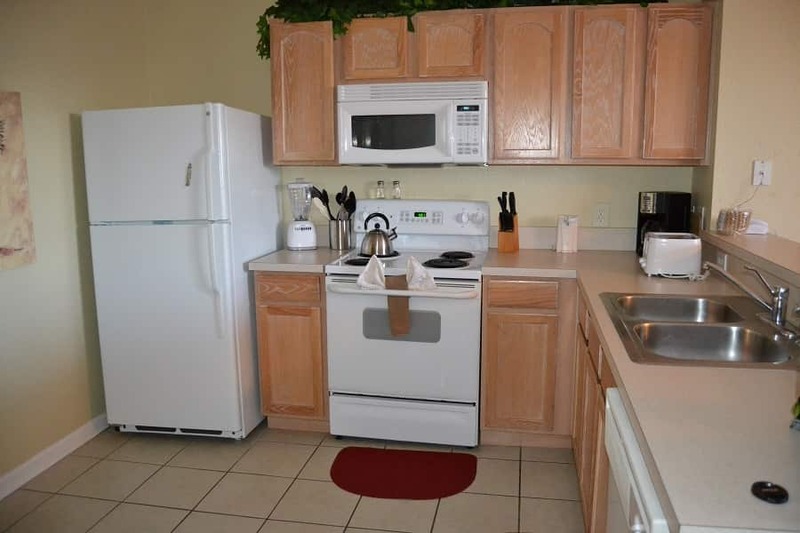 Many units also have a washer and dryer (although you will need to bring your own detergent and softener). It was really nice to have a washer and dryer in the unit!! One of the biggest reasons to stay at a Non-Disney Resort is how much money you can save in accommodations. Compared to what you would spend staying at a Disney Resort ($120-$170 a night for just the Disney Value Resort), this townhouse rental was only $100 per night. That might not seem like a huge savings, but you can get three bedrooms and two baths and full kitchen (not a one room where you all sleep together!). Besides saving on accommodations, you can also save money on food by having the flexibility to cook and store food in your full kitchen! Do you have a favorite Non-Disney Resort? We’d love to hear about it!